A key topic raised in many countries, not least Japan, is why most other industrialized nations have gone so strongly for sanitary landfill design, which locks up waste and only slowly allows it to decompose with air (anaerobically) and not aerobic landfills which rot away quickly. The awful longevity of sanitary landfilling, becomes clear when we consider the issue of “final storage quality” (FSQ) for wastes being landfilled. Criteria for defining FSQ, are ill-defined in most countries, and approaches to achieving it in sanitary waste are non-existent. Yet, with continually increasing quantities of waste sitting like a “time-bomb” below the soils of so many countries, there is a pressing need for clear thinking about exactly how FSQ will be achieved. Countries now recognise that existing pre-treatment methods do not approach FSQ, and that the landfilled residues still require continuing after-care. 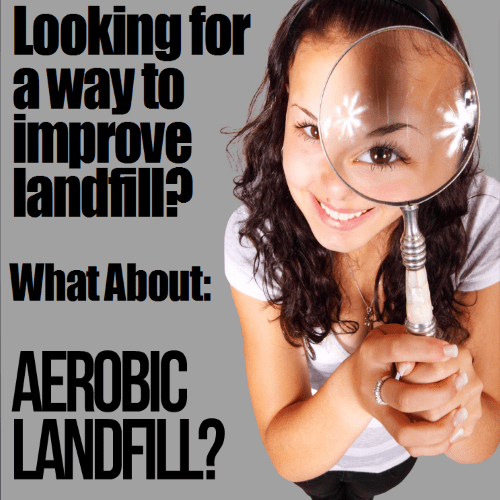 Information: For those new to this subject, all modern landfills are anaerobic (ie lack oxygen). To create and maintain aerobic conditions in municipal waste requires forced ventilation, and for large landfills would need a lot of air to be pumped into the waste continuously. Air must be introduced in order to replenish the oxygen consumed by decomposition of the organic content. There is widespread recognition that a notional aftercare period of 30 years is meaningless in terms of reaching FSQ and that for landfills constructed according to modern standards, the period is likely to be measured in centuries or even millennia. The need to accelerate the washing out of soluble pollutants from landfills and to accelerate the degradation of biodegradable wastes was raised by a larger number of renowned speakers way back in 2003 ( Sardinia 2003, the Ninth International Waste Management and Landfill Symposium, 6-10 October 2003), from a wide range of countries. Another related area that attracted many papers and much discussion was research and full scale practice of aerobic remediation of old landfills. This involves the injection of air via one set of wells and extraction of gas via another set. It might be said that this topic ‘came of age’ at Sardinia 2003. 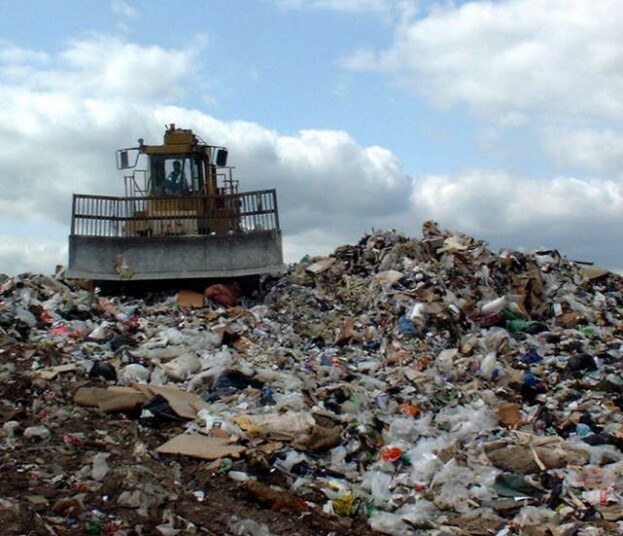 Those who advocate aerobic landfilling do so to minimise the impact of landfills not by reducing the proportion of organic matter in the waste, which is the intent of the current EU Regulations, but by maintaining aerobic conditions, to accelerate decomposition. Aerobic conditions allow “composting” (biological decomposition) to take place much more rapidly than occurs in anaerobic waste. Aerobic conditions allow decomposition within timescales of 1 to 5 years, and the leachate generated will be orders of magnitude less contaminated than in the equivalent anaerobic landfill. Another considerable benefit is that in aerobic landfilling, the generation of landfill gas (methanogenesis) can be almost entirely avoided. Large reductions in leachate ammoniacal nitrogen concentrations. 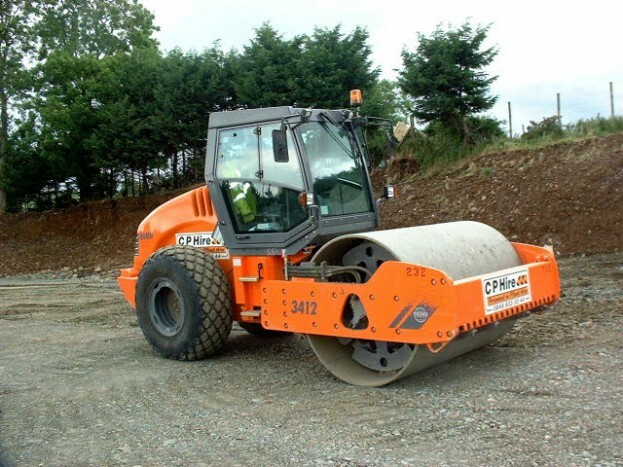 Smaller scale research and field trials have been presented at previous conferences. However, the quantity of papers and the results presented at this symposium shifted this topic from the level of ‘interesting idea with potential’ to that of serious technology. Even so, much remains to be discovered: successful application has so far been limited to relatively shallow sites, and it remains unclear what would be needed to adapt the technique to deeper sites; successful application has also been limited to sites that are known to be close to the end of their gas generation curves, and applying aeration techniques to a site containing too much degradable matter could be ineffective in changing the overall microbial régime and might carry a risk of generating very high temperatures, with consequent risks of damage to thermoplastic infrastructure, sub-surface fires and generation of carbon monoxide. Clearly these are areas for further research. Information about the next Sardinia Symposium is available at www.sardiniasymposium.it .